AFTER RISING FOR YEARS, THE PRICE OF SILVER, oil and other commodities has collapsed. This is not a good sign. A new crisis is in the making. In addition to its financial aspects, it involved public debt and an endless depression or hyperinflation. All this is connected to the price of gold and silver, which has been controlled for centuries by various groups, today by Goldman Sachs and JP Morgan. Milan (AsiaNews) – The recent instability in world markets, especially the commodity markets that are so important for Chinese and Indian manufacturing, appears contradictory, even incomprehensible, given in its scope. Suddenly, the world economy appears to have completely changed. Fear of inflation now looks almost out of place. In one day, crude oil dropped by 10 per cent. Rubber, minerals and other raw materials declined from their historic highs. Stocks across Asia are starting to show signs of weakness and the yen lost ground. Silver also took a nosedive, plunging from US$ 50 an ounce to US$ 35 (later bouncing back a bit). What is behind this sudden volatility? True, Bin Laden is dead and so is the so-called War on Terror. A collective sigh of relief could be heard across the globe as a clash of civilisation between secularists and Islamists appeared to be averted. One might suppose that this would be an element of economic normalisation and a change in direction for markets. In fact, concern over international politics seems to have shot up, not gone down. Tensions in Arab nations continue, as does the War in Libya (despite rumours about an imminent truce), which Syria and other Arab autocracies and monarchies, Gulf included, are likely to follow soon. In other words, political factors at best cancel each other out. From an economic point of view, no single factor seems to have changed for the better to justify a rosier picture, at least in terms of dreaded higher interest rates, and the possible collapse of financial (the bond and partially the stock) markets. Despite all the efforts, economic data do not suggest any drastic change in the picture; the same is true for the public debt in Europe, United States and Japan. No real improvement seems to be forthcoming from China as far as real inflation and the strength of the financial system are concerned. Unemployment remains high in the West and so on. The slight dip in US unemployment is certainly no major breakthrough since it is partly a function of the number of people who are too discouraged about finding a job that they have actually stopped looking for work. Economic growth is at best anaemic, at least in Western nations. Despite the huge rescue package for the US banking system undertaken in the last few months of the Bush administration, which Obama continued and boosted (at an estimated cost of US$ 24 trillion) and which was imitated by almost everyone else (China, Great Britain, Germany, France, Belgium, Netherlands, Ireland, etc. ), despite the Obama “stimulus” plan in the first months of the new US administration (also imitated by China), and despite the Quantitative Easing 2 (QE2) of October 2010 by the chairman of the Federal Reserve Ben Bernanke, good results are scarce. What is clear is that fears over a new global crisis have not decreased but actually increased. As in 2008, the crux of the matter is financial. What is even more worrisome is the fact that the problem is no longer at the level of the banking system, but rather at that of the public debt. The derivative bubble, by far the greatest systemic danger, is also far from being resolved. Whether the worldwide economic crisis is starting to find a solution or not is not the issue. In fact, many fears that we are the verge of a collapse. The main topic of discussion among the most attentive economists or those not compromised with a specific political project is whether we are moving towards a phase of deflation and a Great Depression (with lower prices for raw materials) or towards the type of hyperinflation that devastated Weimar Germany, Zimbabwe and Serbia. Such a dilemma would require a long analysis, and it is probable that the world economy might have to deal with both evils. Still, the diatribe between those who believe in the Great Depression scenario and those who think hyperinflation is the real threat does not go beyond a short-term analysis. It fails to see that the essence of the disaster is the pending systemic crisis, which will soon become apparent to everyone. As noted in the last paragraph of a previous article on the War in Libya, we are on the eve of epoch-changing turning point, at the end of an era that began with the Treaty of Westphalia in 1648. The issue, however strange it might seem, is closely related to the value of silver. Money, the value of the reserve currency, the dollar, but even more so the relationship between paper money and the gold and silver standards continue to generate heated discussions. Money underlies all economic activity—it is at the heart of the imperial system of modernity. It is thus hard to understand today’s economic vicissitudes without looking back at old historical events. In 1648, the universality of the Holy Roman Empire and Western Christianity ended after surviving the conflict between Catholics and Protestants. The Holy Roman Empire ceased to exist 250 years later, in 1918, but the centuries-old monetary uniformity based on the silver standard began to crumble right after the Treaty of Westphalia. Forty years later, in 1688, another invasion took place in England, after William the Conqueror in 1066. It was funded by a group of anti-Catholic conspirators who brought to power another William, of Orange this time (who is still celebrated in Northern Ireland by local Orangemen for his victory over Catholics). One of the main players in the conspiracy was philosopher and politician John Locke. It included Calvinists, proto-Masons (the Rosicrucians) who backed Cromwell’s Revolution and Jewish bankers in Amsterdam (for example, the Machado and Pereira, Baron Lopes Suasso and other Dutch Sephardic Jews) who had connections with the Dutch East India Company). Other supporters include names that are still known today: John Churchill, ancestor of Winston Churchill, and Mocatta and Goldsmid of Moses Mocatta, which survives in Scotia Mocatta, a gold bullion bank that takes part in the London gold fixing. William of Orange replaced the legitimate constitutional king, the Catholic James II Stuart. As a usurper, he knew that he owed his power to those who funded his takeover, hence his nickname, “the bankers’ king”. Six years later, in 1694, after the “Glorious Revolution”, William of Orange paid off his debt by granting a private bank, the Bank of England, a monopoly over printing money without an obligation of holding gold reserves. This was the start of paper money with legal tender, a model followed by most other national banks, including the US Federal reserve. A few years later, in 1717, when the first Free Mason lodge was created, an important and revolutionary event in the history of money took place, the most significant since the monetary reforms of the first Holy Roman Emperor Charlemagne. 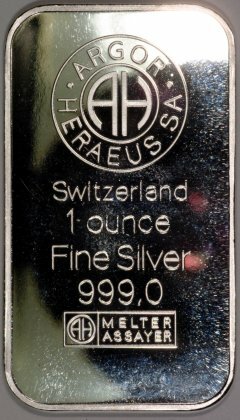 For nine centuries, the silver standard had been the basis of the monetary system. The Carolingian pound was the equivalent of a pound of silver. Given the highly decentralised nature of the Holy Roman Empire, the currency took on several names in different places. In France, it became known as the livre tournois because it was minted at the Abbey of Saint Martin in the Touraine region. Until recently, the term itself was still being used colloquially . In 1717, as Master of the Royal Mint, Isaac Newton (better known as a physicist and astronomer, but also a member of a number of esoteric societies), unexpectedly established parity between the silver and gold standards. Eventually, silver money ceased to be a trading currency. The reason for this was essentially political, part of a struggle with the Catholic Habsburgs, who had access to Latin American silver from Mexico and Bolivia (Potosí). Since that time, the English-speaking world built an empire and came to rule the waves. Even Napoleon failed to undermine English dominance when he tried to impose a new universal monetary unit, the Franc. Finally, it is worth to note that the introduction of opium in China by British merchants in the first part of the 19th century was linked to silver, which the Asian giant produced in great quantities. Controlling the precious metals market is key, for it is a reference for all other commodity markets and is closely related to the currency system. AsiaNews has looked at the issue of the current international monetary system in the past , at least since the crises in Russia and Asia in 1998. It is clear that we are in a state of crisis. Last month, financier George Soros organised a conference of economists, a bit ambitiously called Bretton Woods II, to promote a new reserve currency in lieu of the dollar, to be issued by a super world bank, based on a basket of national currencies. In this context, and in light of the birth of the existing international currency system, we can understand the reasons for the recent, sudden changes in the value of precious metals, gold and silver, and their mutual relationship. In the period of crisis and systemic transition that is currently underway, the relationship, not always obvious, between an instrument of exchange, currency, and other goods, becomes clearer. Even after the abolition of the residual convertibility of the dollar to gold on 15 August 1971, precious metals were still real money, an implicit basis  of reference, not only for commodity prices but also for all other goods. Controlling the precious metals markets was thus a strategic tool in controlling the economy. Through its companies, the Rothschild family has always controlled gold and silver quotes, namely Goldman Sachs (GS) for gold, and JP Morgan (JPM) for silver. How this happens, when prices should be determined by the interaction of supply and demand, in the contest of gold and silver, is not immediately clear and easy to explain. As primary actors, GS and JPM are not required to pay immediate for the quotes of their operations in the precious metals markets. Yet, they sell short gold or silver futures (which they do not own) and cash in right away. Thus, they can generate cash from transactions that are always successful and profitable, on stocks  and bonds for example. Upon delivery dates, few customers ask for the actual bullion. One of the reasons is that handing over the metal bars has been made artificially complex and the physical delivery always takes time. Another reason is that GS and JPM, through the purchase of relatively small quantities, can influence the value of precious metals on the only day that requests for the delivery can be made. This way, they can, almost always, either meet demands for bullion they sold without having any of it, or put off their unprotected positions to a later, more convenient date. Only in a few cases have they lost control of the situation. For instance, the system (Federal Reserve, the Bank of England and other central banks, NYMEX, the Commodity Futures Trading Commission, even in the International Monetary Fund, but also old players like Scotia Mocatta) began to work in concert after a moment of confusion in the case of the Hunt brothers (over silver) and Ferruzzi, an agricultural commodity firm ran by Raul Gardini. In both cases, the sinners had to pay a hefty price for rocking the boat, including bankruptcy and prison. Today, the situation of silver bullion market bears many similarities with what happened to the Hunt brothers. Now as then, the system reacted the same way, demands for bullion deliveries jumped to the point that the COMEX (the old NYMEX’s replacement) saw its silver bullion reserves melt, finding itself hard-pressed to meet its commitments. In response, the margins for silver purchases were raised suddenly. This is why the value of silver dropped, creating market volatility, not because of sudden collapse in the demand for the metal. In this case, the law of supply and demand did not play any role. The demand for silver bullion is always very strong. There is no single player but a number of buyers upset by the scandalous behaviour of the banking system, who are concerned about huge government debt and deficits, as well as the underhanded action of those who, behind closed doors, are preparing a world currency to replace the US dollar, i.e. the tool that will shape the value of the work and sacrifices of billions of people in the world. AsiaNews is only a news agency, without any claim to providing financial advice. However, this writer believes that this year, perhaps by this fall, we shall see COMEX become more or less insolvent over silver. It will be another Lehman Brothers fiasco, a crisis like that of 2008, but worse. See Maurizio d’Orlando, “Currency wars and the Fed’s demise,” AsiaNews, 18 November 2010. Gold bullion held by the Federal Reserve is still valued at US$ 42.2 per ounce, as if nothing had changed since the 1970s. “Institutional” actors like GS and JPM have historically had privileged access to private information because of their consulting activities, information that only they could have, and still have, whilst more recently they have been able to take advantage of computerised systems to buy and sell financial assets through computer systems that handle market transactions. The chairman of the Federal Reserve has always been someone they could trust and choose. Knowing his thoughts and figuring out his moves means having precious information about interest rates and the amount of money the Fed will issue, thus buying and selling according to it. One case, the better known, involved the Hunt brothers, who in the 1980s began to ask for the delivery of silver bullion. However, there was not enough of it in the reserves to meet demand that silver shot to US$ 50 dollar an ounce. Technically, the commodity exchanges (NYMEX, now COMEX) became insolvent. Together with the Federal Reserve and the Commodity Futures Trading Commission, they decided to change the rules in mid-game. Henceforth, no one could hold more than a certain number of contracts. Anyone who did had to sell off, and take on major losses. Even the International Monetary Fund (IMF) got involved. The Hunt brothers had in fact wanted to trade silver for sugar with the Philippines to their mutual advantage. The Hunts would get raw sugar for their US refineries, whilst the Philippines would trade unsold sugar for silver bullion to use as collateral against oil purchases the country had to make. The IMF refused to accept silver as a margin for dollar loans. Mercantile exchanges, and those who control them, were saved, but the Hunt brothers were forced to sell off at a great loss, eventually ending their career as big players. Something similar occurred to Ferruzzi, an agricultural commodity firm managed by Raul Gardini. In both cases, the goal was not to create artificial scarcity in order to speculate on prices, but rather a desire to have the physical commodity, in the first case to preserve the value of their property, in the other, to buy cereals to meet the company’s needs.